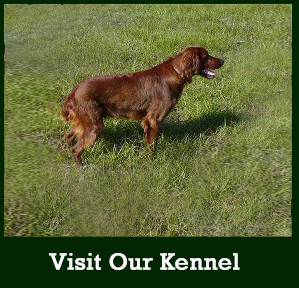 All hunting dogs from Brookhaven Kennels come from Llewellin setter mothers with outstanding field and hunting ability. Our Llewellin setters hunt an average of 60 to 80 days per year in order to preserve the qualities and attributes that make this great dog unique. 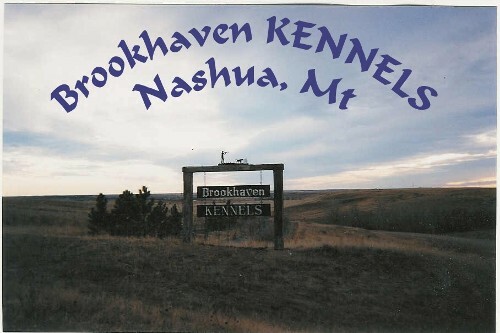 The dog breeder of Brookhaven Kennels came to Nashua, Montana, from a very successful dog kennel and training facility in Ohio. 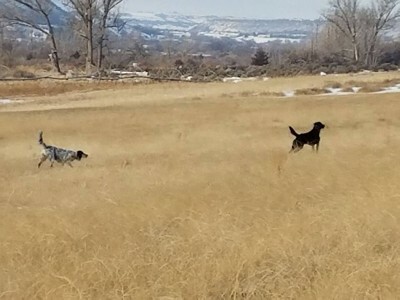 Few places offer the ability to train hunting dogs using wild birds, but these new training areas have pheasant, Hungarian partridge, sharp tail and sage grouse, plus all varieties of mountain grouse. We work closely with some of the best breeders of Llewellin setters and Chesapeake Bay retrievers in the world to offer true hunting companions. Our kennel takes other hunting dogs for training at very limited numbers, but giving them unlimited time and love. After nearly three decades of bird dog and retriever training, our goal is to develop gun dogs that work under control while handling nearly every situation you could possibly encounter while upland hunting. In our training, we approach every dog with the same philosophy as if he or she were our own dog. This is our dog for better or worse, and we're going to do the best we can with what we have to work with. It's our business, because we love dogs and enjoy watching dogs reach their full potential that they were bred to do, loving their work and using their natural abilities and instincts.